one of the greatest of all time, here in their 67 outfit. *Love it,* absolutely amazing! May I please post this on my Twitter acct (with due credit of course)? DaviesFanGirl - thank you. You have captured Ray, Dave, Mick and Pete beautifully! 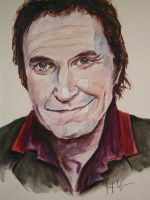 Anyway, I am a member of the Kinks Official Fan Club forum and I know that the members there would love this! May I please have your permission to post this picture there - with a link to this page of course! Again, I can't believe how amazing this picture is!!! good to know that younger people of today also love the KINKS! I also met Ray, but it's a long time ago. Yes, you can post the picture for the Fan forum. Thankyou for saying I can post your picture on the Kinks board - I'm sure there'll be plenty of people there who'll love it. Ah, you met Ray too? Real nice bloke, isn't he? I'm glad you like it! Thank you very much! You're welcome! Oh yes, I enjoy it very much; it's fabulous! Love the colors and the Kinks. haha, no problem always nice to have met a fellow kinks fan! oh yes, god save the Kinks! Awesome painting, I really like the colors! For me The Kinks are the finest Band of the 60s, but also in the 70s they made great albums! This is absolutely fantastic! This is now one of my all time top DA favourites! oh, I have to thank you very, very much for this big compliment! very circus colors, or psycodelic ... or... something else???? great work here... Davies forever rocks!!! I think its "Something Else", the great album of that year. Waterloo Sunset forever! Ah, this has such a fantastic psychedelic look to it! I love the lighting on Ray's face. Heck, the coloring on all of it is absolutely marvelous. Listening to the Kinks right now, too! Not that that's out-of-the-ordinary. I've been on a big Kinks kick since seeing Ray in concert recently, though.